Enjoy the Taste, Quality, Convenience and $avings of pure water filtration in your workplace or home. For some customers, it is a better idea and more practical to rent an R/O System from us. Home installs are an easily budgeted item @ $25.00 a month (plus one time installation fee. Maintenance &/service plans paid 12 months in advance may receive FREE INSTALLATION!!! Rentals paid one year in advance also get an additional discount of TWO MONTHS, FOR FREE!!! Save More - Family and Business REFERRLLS can also get you another TWO MONTHS FREE!!! Monthly Rental /Mainenance/ Service plans include any and all service calls , parts and filter changes. Office cooler rentals w/carbon filtration provides all-you-can-drink water for $35.00 a month. Hot & Cold drinking water dispensers with Reverse Osmosis systems are only $50.00 a month. 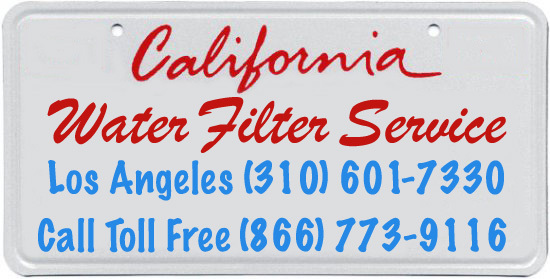 Monthly rental service includes regular filters changes, plus parts, labor and any service calls. Purchase new P.O.U. Hot &Cold dispenser with Reverse Osmosis built-in for $750 + installation. Our Reverse Osmosis System Installations Come Complete With A Full 2 Year Warranty. Complete 4-Stage Reverse Osmosis Drinking Water Systems for only $400 Installed. Pro Deluxe 4-Stage Reverse Osmosis Drinking Water Systems with test light for $550 Installed*. Upgraded Custom 5 and 6 Stage Configurations Including Alkaline Minerals starting at $500 . Our Pro Deluxe Reverse Osmosis includes custom faucet clolor and style choices and a 3 year warranty. Save your energy, time and money. Call for a quote on custom water purification equipment. Free on-site estimates for customers in the Los Angeles and surrounding areas.